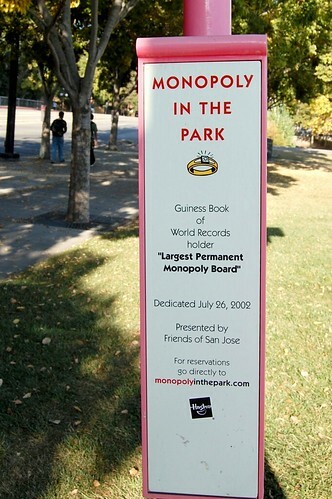 A giant monopoly board in Guadalupe River Park near the Children's Discovery Museum, San Jose, USA, is World's largest Monopoly Board. The 930 sq. feet (86.4 sq. 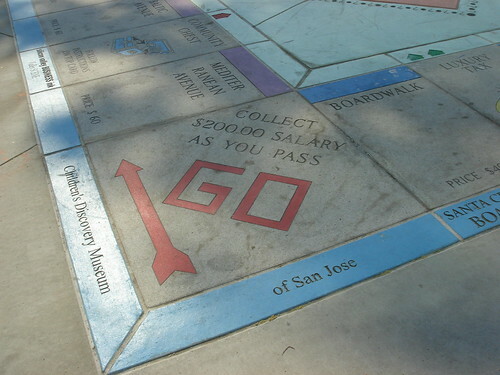 metres) granite monopoly board was completed in 1992. 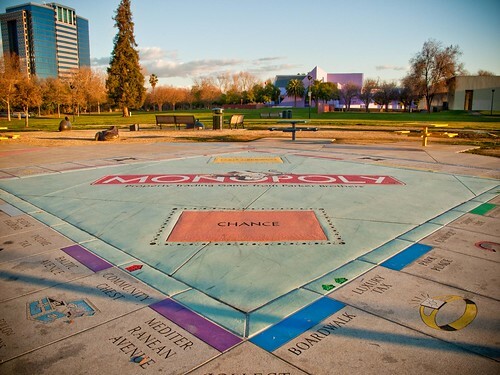 The giant game board that is now Monopoly in the Park was produced by San Jose's Cypress Granite and Memorials as an exhibition for the 1992 San Francisco Landscape and Design Show. 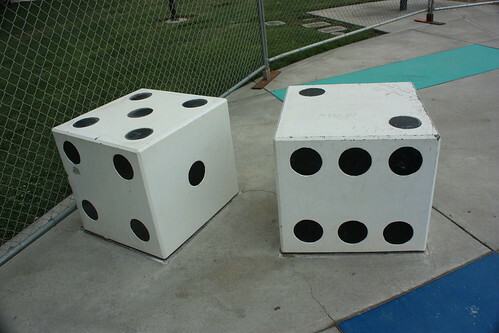 It is played with giant dice and the players don game pieces on their heads and advance around the board. They have to wear prison dress if they land in the jail. 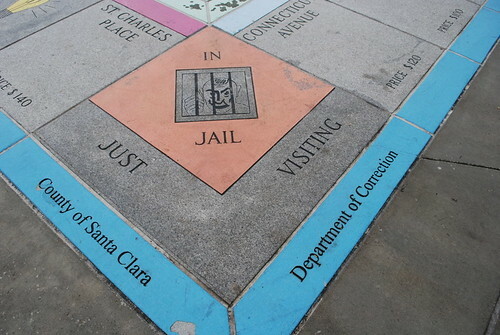 Instead of conventional property shown in the standard UK/USA versions, it has Silicon Valley real estate on sale. Wow, this must be quite an adventure and grat way to socialize!